There is something nostalgic about sitting outside on a warm summer night watching the sky light up in bursts of brilliant color. It brings back memories of simple times filled with good food, lots of laughter and enjoying life with friends and family. While we can all appreciate the splendor of a great fireworks show on the Fourth of July, it is important to remember that fireworks can be extremely dangerous. 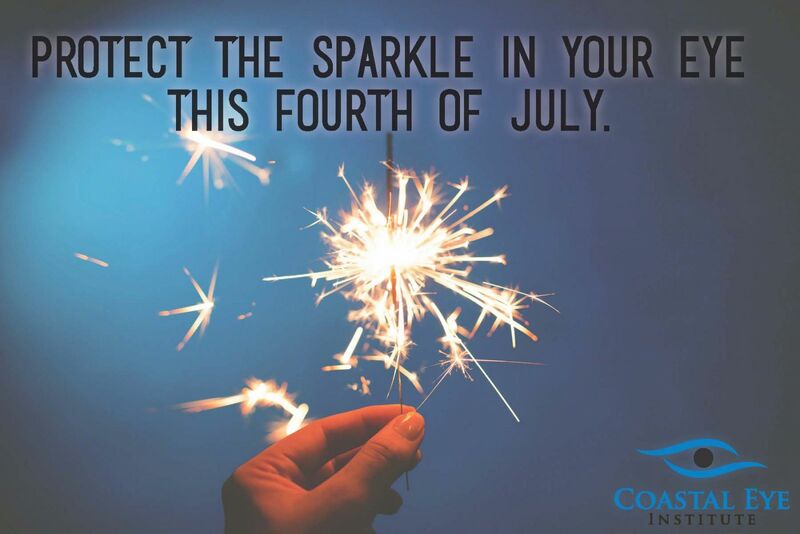 Did you know that most firework injuries occur during the one month period surrounding the Fourth of July? Nearly 10,500 injuries caused by fireworks have been reported in the US. According to the most recent fireworks injury report, there were nearly 1,300 firework related eye injuries treated in U.S. emergency rooms in 2014. Please respect all barriers. Make sure that you stay at least 500 feet away from the fireworks launch site. Never touch unexploded fireworks! Instead, immediately contact your local fire or police departments for help. Never allow young children to play with fireworks of any type, even sparklers. Always wear protective eyewear when handling fireworks. Do not try to light professional grade fireworks… leave them to the professionally trained pyrotechnicians. Do not rinse your eyes. Do not remove any objects that are stuck in the eye. Do not apply ointments or take any blood-thinning pain medications such as aspirin or ibuprofen.